So you've had the thought, huh? "I bet I could make a YouTube channel! I just don't know where to start..." I've had that thought too, and so I decided to make a starting point for everyone who has the thought after me. Here's your guide for starting a YouTube gaming channel! Gaming on YouTube falls into several categories. Will you be a comedy gaming channel, or will you make guides? Maybe you will do speed-runs or game reviews. Another factor is will you work alone, with a partner, or in a group? These questions can help you decide which games to play and how to get started. Choosing PC gaming vs console gaming will affect how you record the games, which games you can play, and some editing choices. Console gaming requires separate audio recording software and a capture card, while PC gaming opens the option to use free recording software as well as less hassle when it comes time to edit. PC or console, all future YouTube stars need a consistently quiet area to record and long enough stretches of free time to put out interesting content. For PC recording software is free and simple to use. Make sure you have a computer that can handle major downloads and uploads, then decide between buying better, more user friendly editing software and using free software that may not give the same quality of edits. Final Cut Pro X and Adobe Premiere will both run a common user $200+. 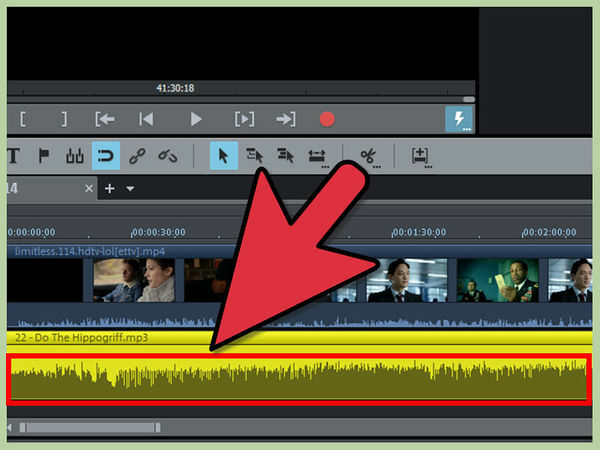 There are free editing programs out there, such as and YouTube's own editing bay, but they are less fluid and require more work to create the same level of quality as the paid software. Decide on a name for your channel, and make a channel with it; do your best to create a brand, rather than just using your name or something basic. YouTube accounts are linked to Google accounts, so making a a gmail account with the channel name is all you have to do! Make sure you do some research and learn about YouTube's rules for content, copyrights, and other things that may not be clear to the casual observer. Make sure your audio has a waveform, your video isn't skipping, and be aware that the files may corrupt even after a good recording session. If you are recording on a console, you'll need to be recording audio separately, which means you will need to be able to sync your audio with your video, and have more risk of not recording audio. Keep an eye on both. Some channels, like IGN, use silence as a motif in guides, but for many others commentary is key. If you are trying to do comedic commentary, the humor should be natural and comfortable. Small pauses, time to breathe are good. Don't force yourself, but don't lapse into silence. Mindless rambling is interesting for about a minute, and it may be a good starting point but it will not make for a good long term plan. Save your raw footage somewhere consistent, either a file on your computer or an external hard drive. This ensures that you always know where your footage is and will keep you from losing recordings. From here, import your footage to the editing software of your choice. If your channel is supposed to be comedic or guiding, minimal cuts may be ideal. For compilations and highlight reels, multiple cuts are expected; in that situation, video and audio transitions are your friend. Fading audio and video in and out at the beginning and end of each video is a simple tip that immediately cleans up most videos. Make sure you understand YouTube's copyright rules, but there are several copyright- and royalty-free music channels on YouTube who curate songs and sound bites that can be immensely helpful in your editing and channel creation . Most editing software displays a waveform for any audio that you drop into a given project. Matching big hits with peaks in the music waveform, or a solemn moment with a break in a song, will give videos and points significantly more power. A consistent video length around 15 or 20 minutes is common among gaming channels, although some run longer, and more highlight or compilation channels run shorter videos. Consistent uploads, rather than just posting every once in a while, will help viewers stay engaged. Talk to your viewers about what they like or dislike and tailor your channel a little to them. Every editing software has an export function, which converts the project to a completed video file. Mp4 and h.264 file types will work consistently for YouTube. h.264 will be a smaller file, so act in accordance with your hardware specifications. A bigger file will require more time to export and upload. Account verification is required to post videos longer than 15 minutes. You can adjust the privacy of the video here as well, making it either open to the public or only accessible to someone with the direct link to the video. Sometimes it's a good line from the video itself, or an event that inspired the video, just make sure you're happy with the title. You also have the opportunity to choose a thumbnail for the video. This is the picture that people will see when the video comes up on their feed, so make sure it's a good one! After the upload and processing time, your video should be live for the world to see. Congratulations, you now have a gaming YouTube channel!